Featured in McCall's! Jet black, gorgeous florals, and rich colors combine for a spectacular result! 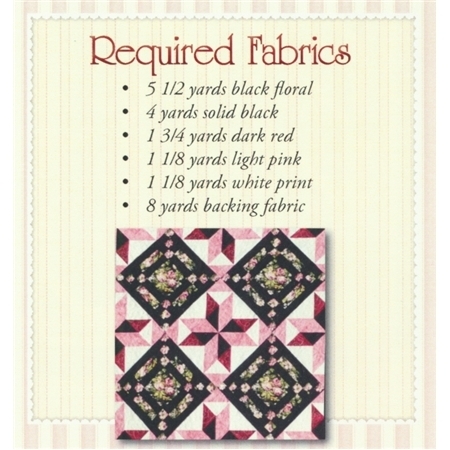 This stunning queen size quilt may look difficult, but it is created using only simple piecing. Finished size is 85" x 102".